A drone that crashed into a photographer’s face during a store promotion, clipping off the tip of her nose and cutting her chin. In Australia, a drone photographing a competition crashed into a triathlete resulting in a minor head wound that required stitches. The operator claimed someone stole control of the craft. A drone nearly collided with a plane as it took off from a major airport. The governing aviation authority called it a “serious risk of collision,” the highest label on its rating scale. 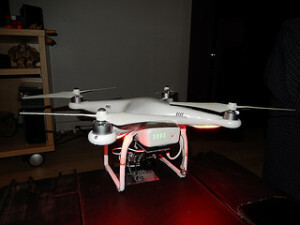 Multiple incidents highlighting the risk a weaponized private drone could pose, especially at crowded public events. caught in the talons of a hawk that became notable for the video the drone captured during the event. 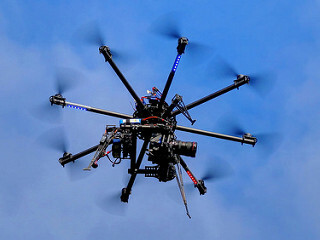 We imagine many other types of drone accidents will be seen as drones become more popular. The FAA is still working on the best way to deal with drones and other unmanned aircraft systems (“UAS”). According to the agency, “Introducing UAS into the nation’s airspace is challenging for both the FAA and aviation community, because the U.S. has the busiest, most complex airspace in the world. The FAA is taking an incremental approach to safe UAS integration.” Currently, people using UAS for commercial purposes must obtain FAA approval, but people flying as a hobby do not. Still, hobbyists must follow some rules including staying a sufficient distance away from certain events like sports contests. The FAA has also produced an “I Fly Safe” pamphlet dealing with safe drone operations. Safety pointers include: Flying below 400 feet; Keeping the aircraft in your sight; Avoiding stadiums and other crowded areas; Avoiding airports; Always flying sober; and Staying away from emergency scenes and emergency response efforts. Drone accidents can take many forms and there can be many different people/groups at fault. Perhaps the two most common scenarios are an accident caused by a careless/inattentive operator and an accident caused by a malfunctioning device. Respectively, these accidents might give rise to a negligence claim or a product liability injury claim. Other legal theories might also apply depending on the precise facts involved. As an experienced personal injury attorney, Greg Brod can help drone accident victims in Northern California recover compensation for their injuries. His broad experience in accident law, including aviation matters, and an understanding of technology allow Attorney Brod to serve drone injury clients and advocate on their behalf. If you or a loved one has been injured by a UAS, call our drone accident law firm in Oakland, Santa Rosa, or San Francisco to schedule a free consultation. Stay safe and fly smart! UPDATE: As of 12/21/15, ALL drones must be registered with the FAA or the owner may face civil and criminal penalties. See the agency’s website for more details.